The kitchen is one of the most popular rooms in your home and one of the most used as well. It is the place where friends and family gather for holidays and good times. 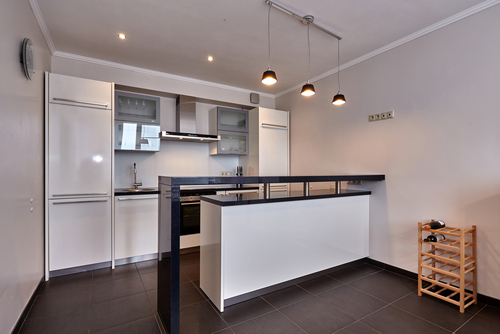 When it comes to remodeling a home, many people choose to start with the kitchen since it is such a focal point. One of the first things people choose to remodel or replace are their kitchen cabinets, but do you know the difference between the types of cabinets available? 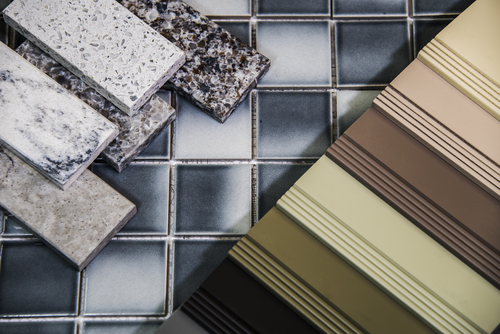 Knowing the types and differences can be very helpful when you are updating the look of your home. So let’s discuss some of the different and more popular types of cabinets on the market today. As the name implies, tradition cabinets are what you think of when you imagine a kitchen cabinet. The have a classic look that goes with any décor. Most traditional type cabinets use hardwood or a mix of materials like glass and wood in the cabinet doors. When purchasing a traditional style cabinet, it is important to look at all of the design elements and pick ones that meet the test of time. When you pick a cabinet that has modern or understated features, those cabinets will span design trends across several years and give you the most bang for your buck. Traditional cabinets can be stained to the wood grain or tone of your choosing or, if you prefer, painted a solid color. The can go well in almost any kitchen which is why they’re considered the “traditional” style. Shaker cabinets are another popular style of kitchen cabinet and the style goes well in a variety of homes. It doesn’t matter if you’re more trendy or modern or if you prefer a classical look. Shaker cabinets can fit any décor or style. Shaker cabinets are known for their simplicity and they incorporate a simple design. They often have smooth, clean lines that have their origins in colonial America, however, they are popular around the world and have found a place in the East due to the zen motif. 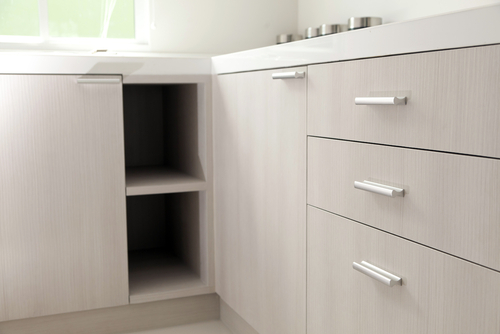 If you want a cabinet that is simple, but effective at conveying your style, try a Shaker cabinet. They are functional and look great, no matter what sort of kitchen you have. Shaker cabinets are made from high quality hardwoods and are usually left in natural grain. Of course, you can stain or paint the cabinets to any color or tone you prefer. And not only is the Shaker a classic style, it can be an economical choice as well. In keeping with the “less is more” trend that Shaker cabinets represent, we also have Contemporary styles of kitchen cabinets. These cabinets keep it simple, focusing on the minimal without all the bells and whistles. Most contemporary cabinets have a design that keeps the look simple, so if you have a highlight feature in your kitchen, such as granite counter tops, you can keep the focus on them, rather than your cabinets. Contemporary cabinets are the ultimate in keeping it simple and can be one of the more affordable options when completing a kitchen remodel or cabinet replacement. They look great and can last a lifetime with proper care. If you prefer a cabinet with slats on the doors, you’re looking for a “Louvered” style kitchen cabinet. These give you a very unique look and can be matched to other items in your home such as your furniture or doors. If you have a unique look in your home, slatted cabinets may be the right choice for you. Another great thing about louvered cabinets is that they provide ventilation, so if you have items that require air flow, this is the perfect solution. They can be expensive, so be aware if you’re trying to stick to a budget or if you’re trying to keep your costs down. Of course, with the higher cost comes an exclusive look that not many homeowners have, so if you like a unique option, slatted cabinets can be just the thing that meets your demands. Modern cabinets feature looks and trendy design elements that often highlight features that are popular. An example of modern cabinets include inset designs with doors that sit “inside” the cabinet frame rather than being mounted on the outside of the cabinet itself. The door nests inside the cabinet for a sleek and modern look. Modern kitchen cabinets are often “space age” or use designs that others may find a little unusual. They steer away from the traditional look and create a trend all their own. In fact, many modern kitchen cabinets are custom designs. Since modern cabinets are unique, they can often be more expensive when compared with other types of kitchen cabinets. Farm house style cabinets usually feature a design element called bead board and they can convey a cozy, cottage type look. Bead board is usually integrated into the door of the cabinets, in the center panel. For many, this look is reminiscent of an older farm house or small seaside cottage. If you’re going for a homey look, try a cottage style cabinet. Farm house cabinets are often very economical and fit in well with traditional kitchens since they have simple features and designs. Farmhouse cabinets can be painted to suit your tastes or color palette so they match your existing décor. They are a very flexible cabinet option for kitchen cabinets and remodels. Your kitchen is a major focal point of your home and when you are looking at remodeling options, look into replacing your kitchen cabinets first. There are so many styles and types of kitchen cabinets that this is a flexible solution to completely update your look in your home. Now that you have an idea of the many types of kitchen cabinets, your remodel is one step closer to being completed. If you think you may like a particular type of cabinet listed in this article, do some more research and find an installer or designer near you. Not only is it important to pick the right type of cabinet, but it is also important to find the right installer. If you go with a more custom option, be sure to read the installer’s reviews to make sure they have the knowledge that will make your project a success. Kitchen cabinets can be the highlight of your home and your kitchen, making your home a real standout. Be sure to find cabinets you love and that will stand the test of time. If you do, you’ll be happy for years to come.